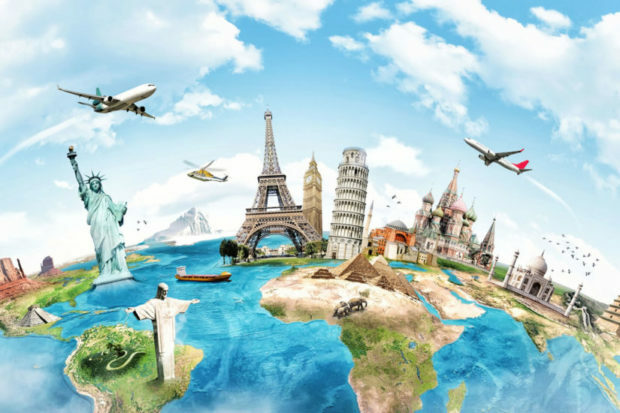 Travel, both domestic and worldwide, is on the rise, with more people booking last minute travel, visiting new destinations, and travel spending is up overall. If you’re a frequent traveler, though, why not earn rewards on your excursions? By choosing the right credit card, you can get the most out of your adventures and even earn a few upgrades. One of the most common credit card perks for travelers is frequent flier miles; the more you travel, the more you earn. Some, such as the Capital One Venture Rewards Card actually offer miles on all purchases, with bonus miles for travel-related expenses, such as reservations booked through Hotels.com. Of course, frequent flier miles do have a downside. They’re often highly restricted in terms of when they can be used, but if you have a flexible schedule or you intend to schedule your travel early – always a good move – extra miles can be a real boon and they save you a lot of money. Miles can also be just the leverage you need to get an upgrade to first class. Airlines today are cutting back on services, which means you might have to pay extra to check a bag or even pick your seat in advance, but a travel rewards card can help. Not only do these cards give you a points boost over a traditional cashback card, but many travel rewards cards offer checked bags, lounge access, and priority boarding, among other benefits. And those perks don’t even require that you spend your points. In most cases, they’re an automatic benefit that you’ll receive just for being a cardholder. And, for added convenience, these cards may also qualify you for TSA precheck. While travel those rewards cards come with certain automatic benefits as mentioned above, the best thing about them is that the rewards are also worth much more than normal point exchanges. While a direct point exchange might get you cash back or gift cards, luxury bookings with partner hotels and airlines can be worth many times more. Companies make it easy for you to trade points for these low-value rewards because it’s inexpensive for them, but if you play your cards right, there’s a business class seat or luxury hotel room within your reach. Remember, travel rewards cards come in different varieties, so how much you benefit from the card will depend on your status. Top tier cards, such as the Chase Sapphire Reserve and American Express Platinum, for example, carry large annual fees, with Chase charging top tier members $500 annually. Of course, the idea is that you’ll reap far more than $500 worth of rewards with such a card, but you need to be sure that you’ll use them. For more moderate travelers who still want benefits, a mid-tier card such as the American Express Everyday Preferred card, which has a $95 annual fee, may be a better fit. Travel rewards cards can change the way you see the world by incentivizing travel overall and reducing stress throughout the process by offering an array of perks. If you’re someone who prioritizes adventure over acquisitions, travel rewards cards are the ideal spending solution. So where will you go first?